Instagram has experienced a sudden rise. As of today, there are over 1 billion active users on Instagram, and 98 million pictures shared every day. Also, 82% of users on Instagram come from outside of the United States! I guess a photo is worth a thousand words. Instagram lets you change your profile picture and add a bio with 150-word and one link, so choose thoughtfully! Next, connect to users you already know on Facebook, and if you want, you can also search and connect to your phone contacts. Next, link your other social media accounts by using the little “wheel” at the top right of the platform where you can link to your Twitter, Facebook, and others. After that, Take a picture (or choose one from your gallery), apply a fine filter to improve the photo, change the color, make the image look old, rotate it, etc., and then share it as a post! Write at least two hashtags in your caption, as this is how pictures are found on Instagram. You can use the Top hashtags trending in real time to get more engagement by putting them in your caption or post them in a comment under your post. In addition to hashtags, you should add captions to your pictures before posting. What’s going on in your picture? Your fans want to connect with you on an intimate and personal level, so tell them a story! Post a few images in real time, documenting the lead-up to your show, a day on tour, a trip to downtown, etc. It’s necessary to track the time when your fans engage with your posts. Posting at 2 am on a Saturday might work correctly for an EDM DJ, however, it’s not an excellent policy for an older folk singer. Think about your target audience, and when they’re most likely to be using Instagram. Check out our blog on What is the best time to post on Instagram to find out more. Instagram lets you share your day with your followers by using Instagram stories! You can post a few simple pictures of you going about your day, or record short videos. You can even use the boomerang option to create a looped video. By using this feature, you can also add a link that the viewer will swipe up to open. 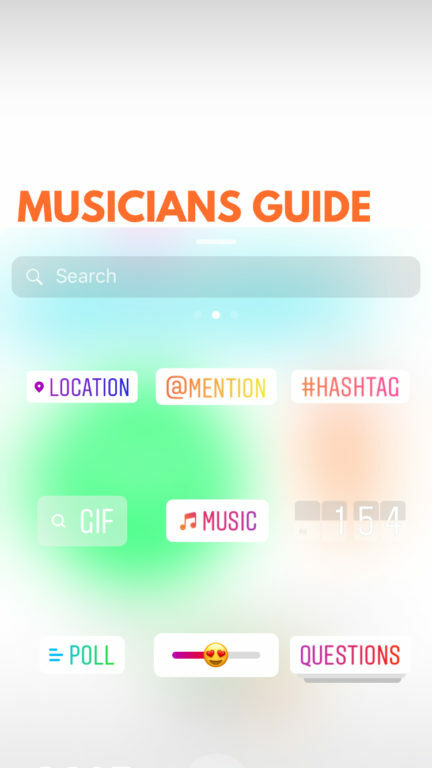 This feature can be used to promote a lot of various things – you can ask your fans to follow your other social media accounts, send out a link to purchase your new album or song on iTunes, etc. When you start a live stream on Instagram, a notification will be sent out to all of your followers telling them that you are live! You can answer questions that your fans are sending in the real-time comments. This is an excellent way to connect with your followers and fans on a more personal level, or to make announcements in a unique, creative idea! Then there’s #tbt (Throwback Thursday). Awkward childhood pictures go down a treat. Instagram can be great for artists and musicians. So go on and get all the benefits from it. Why you Should Use an Instagram Bot for your Business? Being very active is the way to go. You have to comment and like posts, create captivating and new content regularly. By following accounts that are similar to yours and following those who like your posts and content back in a positive way is also vital. Doing these actions and you will steadily increase your followers. HOW DO YOU INCREASE YOUR INSTAGRAM FOLLOWERS? The problem that comes up is this is a full-time job. If that is the only thing you have to do for the day, then you can manage that. However, real life comes along and most people who are actively building a business just do not the time. As well as this, you also have to create interesting relevant and value-packed content which is one of the most important parts of building your brand. So how do you make time for life? Many have found the solution is to use Instagram bots and automation. Instagram bots automate the tasks that need to be done. You can program the bot to like or comment on posts that have a specific hashtag. They can comment on anything you want such as “cool” or post a heart or other emoji of your choice. They can also auto follow other accounts that are relevant to your target audience. For example, if you are building a foodie account and want to have followers that are into this. 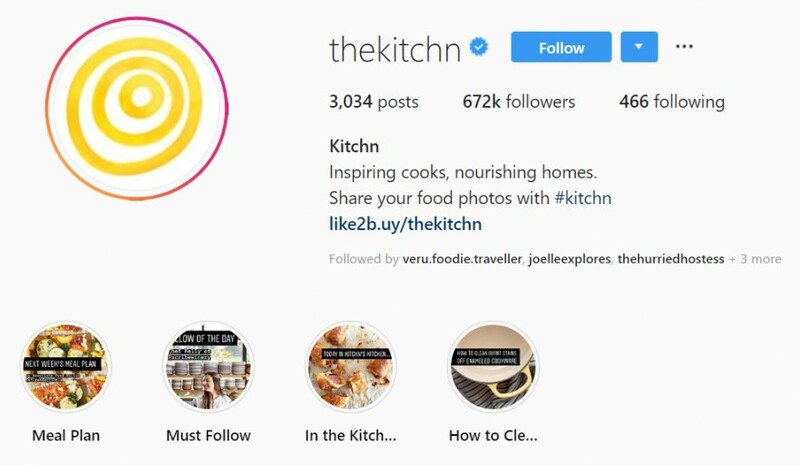 You can select hashtags such as #foodie #foodporn and the bot will search out instagramers with these hashtags and auto follow them. This creates interest and draws attention to your account. The person owning the account that your bot has interacted with will then be drawn to look at your profile and follow you back if you give them a good enough reason to so. Instagram bots save you time as they are efficient and speedy. It allows you to engage with your followers and build your brand on a daily basis. Instagram bots get your more followers. Bots can search for instagramers that you want to interact with. They can follow back accounts that have followed you. This increases your reach and gains you, new customers for the product that you are promoting. If you program your bot in the right way and have an Instagram account that has incredible, unique and constantly developing new varied relevant content using a bot can be very beneficial and can multiply your followers. It will allow your great content to be discovered and reach more people than you could ever do manually. However, there are some downsides to bots that you need to be aware of. If you have a bot that has not been correctly programmed or you have it assigned to an account that does not have good content, then it will appear spammy and turn potential followers away. It will create a dislike instead of achieving its real purpose. This will be a waste of time, money and effort. So before you start looking into bots and automation here are some tips for setting up an account that has high-quality visual content. Firstly, the content needs to give value to your audience so they will want to follow you back. The bot will only be useful in converting interactions if you have something dynamic and interesting to follow. You need to consider that the first glance look of the account is the most important. This is what will allow people to choose to follow you or not after they have received a like or a follow from you or your bot. The more care you put into creating top-notch visual content is what will set you apart from other accounts and make your bot more effective in gaining followers. Your account needs to stand out from other accounts with similar content or selling products in the same category that you are selling. The posts need to be unique, visually interesting and obviously give value for the time spent with those who look at your site and branding. One easy way to do this is to plan out your content so that you are creating a differentiated visual grid. You can do this with color or subject or even create a visual mood that lasts for several posts. You can set up a week or even a month in advance of what you want to be posted and move it around to create a visually impressive look to your profile. So, before you spend time and money on marketing and automation take the time to set up your account and make it inspirational. Creating and maintaining a vibrant, interesting account is probably the one thing that is the most important of all. Don’t slack off on the content. This is what will create and keep a long lasting following. You can throw money at ads or other promotions, but if you don’t have an account that is worth following it is all for nothing. Which is one reason to consider using bots, it takes away the pressure and it gives you time, time to really make a great proactive and user friendly site. Another essential thing is to get to know which hashtags are posted by your potential followers and your target audience. To set up and use an effective bot you need to get to know your target audience. Who are you aiming to reach? What do they find valuable? Why do they choose certain accounts to follow? The more you can know your audience, the more you will understand the type of person you want to convert and the more effective your campaign will be. So take the time to really understand who you want to reach and their likes and who they follow. If you do this you can use the bots successfully and not create a spammy situation. In summary, this is a way to use technology to your advantage. It allows you to spend more time on creating the right sort of content that stands out and building a brand instead of spending hours and hours manually searching out customers and interacting one on one. It’s a technological world today and this is the way to find leads and build a brand. Why you shouldn’t use every Instagram bot? 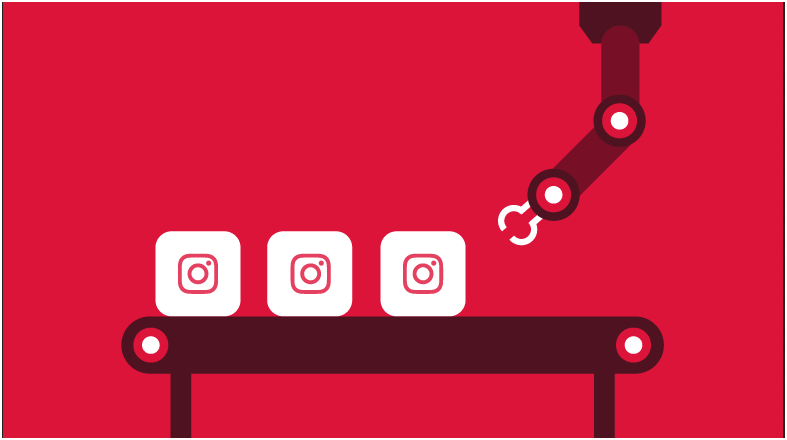 We have covered a little bit about bots before when we’ve written about why you shouldn’t purchase Instagram followers. But we assumed it might help to go more in-depth about bots: You’ve heard that they’re wrong, but just why are Instagram bots so bad? What can they do to hurt your brand? How do you find the non-scammy ones in the first place so that you can keep them from harm? What is the Instagram Bot and How Does it Work? Instagram bots are platforms that let you get more followers in your Instagram account. There are a lot of ways to gain likes, views, and followers on social media platforms. One of these avenues is Instagram bots. 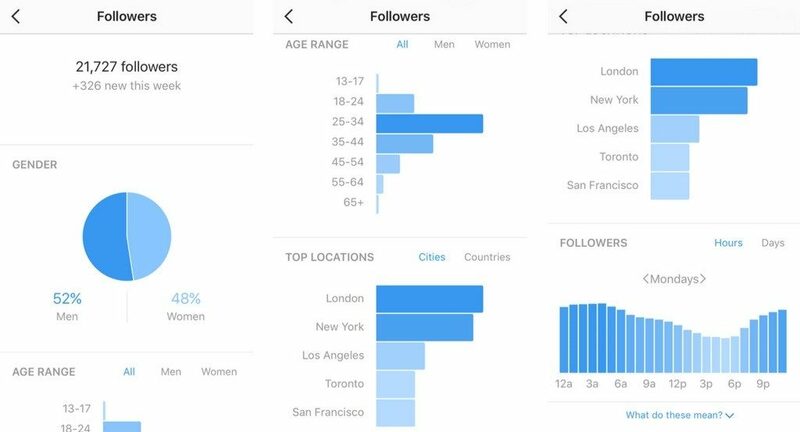 These bots will follow other people, like their posts and leave comments on targeted lists of other Instagram accounts to help you get more reach, followers, and engagement on your account. Why Instagram Bots are a Good Thing? I bet you have considered automating your emails, weekly groceries, and bill payments. You don’t want to keep repeating the routine tasks regularly. So it makes sense if you’d want to automate your Instagram too. As much as you like to engage with your audience every day, it’s never going to work. It’s not possible to spend hours in a day on your followers’ feeds. With bots, these routine tasks would be automatically done for you. Instagram bots can like, comment, and follow posts 24/7. So you get more results, with the least amount of time and effort. Astonishing, right? Instagram Bots can search for people interested in your niche and auto-follow them. They can also follow-back the users who have followed you Instagram. This way, you can expand your reach and find potential customers. Gone are the days when you needed to scroll through different profiles on Instagram to find your ideal customer. Alternatively, you can let the bot detect potential leads for you. Also, it can engage and communicate with these new potential customers and followers. As you may already know, developing authentic engagement takes time. The great thing is that bots can do it for you. They can auto-like, auto-follow and comment on posts. A big downside to this is that it isn’t actual and genuine engagement. 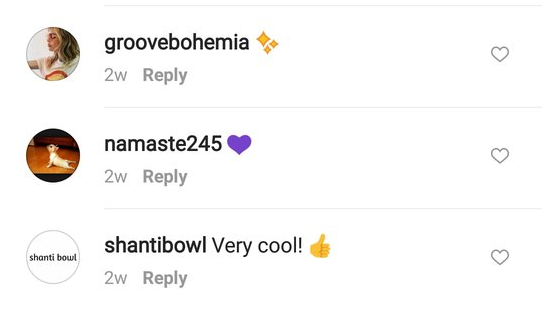 Instagram bots can leave awkward comments. But you have no possible way to track the replies sent to your followers. And genuine or heartfelt interactions can’t be programmed. Bots don’t consider the circumstances or the captions in the picture. They just think about leaving a comment based on a targeted hashtag. As you can guess, this can lead to a lot of awkward situations. These limits aren’t set in stone – but instead are defined based on your age, the number of Instagram followers and activity. A typical Instagram user shouldn’t have more than 150 likes, 60 comments and 60 follows/unfollows every hour. Instagram bots can be really useful these days as we are running out of time, but if you decide to use them, please make sure to choose the non-scammy ones. How to Design Instagram Stories That Captivate your Followers? Instagram is one of the most popular social media networks around us. The photo-sharing app launched its Stories feature in August 2016. The result has been surprising as for the other features of Instagram. The Stories feature enables users to post pictures, videos, or even text that disappears after 24 hours. Instagram Stories are exciting and fun. You can make them as interactive and creative as you want. It provides your audience with good reasons to follow you and come back for more. Did you know that you can make your Stories available to your followers even after the 24 hours? Just Add them to your Highlights and voila. Your Stories will be available on your profile in the Highlights section. Instagram Highlights enable brands to curate multiple Stories so that their followers can watch them at their convenience; this will allow you to make your content evergreen. The poll feature on Instagram Stories can help you engage your followers better. It also lets you get to know them better as well as their preferences. This features can help you create content that resonates with your target audience. When you ask about their opinions, you will receive some significant data, and they’ll feel more valued and connected to your brand. An excellent way to use Stories to engage your audience is to leverage user-generated content (UGC). Encourage your audience to feature your products in their Stories and to tag your brand in them. You can offer some inspiration so that users are motivated to share their experiences using your products. You could give them freebies or even an opportunity to be featured on your Instagram page. User-generated content can save you a lot of time and energy. It allows you to promote your products without being too salesy or pushy. It also helps you build credibility and gain the trust of your target audience. Influencer marketing is excellent for promoting your products and is common on most social media platforms. You can share product pictures or videos with your influencers and ask them to use them in their next Stories. You can ask influencers to create their own Story that features your brand. People have an intrinsic curiosity about the way things work. To tap into that curiosity, you can share stories about your brand or products, customer experiences, the process of production, or even your agents. impressing your viewers with behind-the-scenes Stories which help you humanize your business and connect with your audiences on a deeper level. Instagram Stories are here to stay. If you aren’t using them yet, you are definitely missing out on a lot. 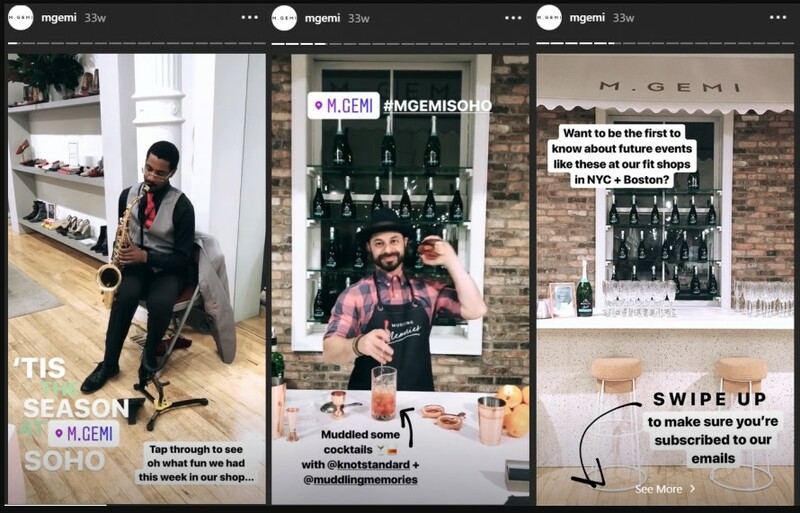 Have you made Stories a part of your Instagram marketing strategy yet? Let us know your experiences in the comments below. Social media is such a new technology that is so much hard to catch up with it in many ways. The critical thing to understand about this technology is that many brands are making quite a bit of money out of it at the end of the day. Because of their monetization methods, an imbalance has occurred whereby some brands have gained much more than others which have enabled them to create corners by standing out from the competition. An obvious example of this can be seen with Facebook, which is now the owner of WhatsApp as well as Instagram. Monopolies in Silicon Valley have become such an argument that representatives both in the United States as well as the European Union have considered introducing legislation that would expect big companies such as Google, Amazon, and Facebook to distribute into their different parts because these works are being seen as anti-competitive. The founders of Instagram have now counted in on the matter. 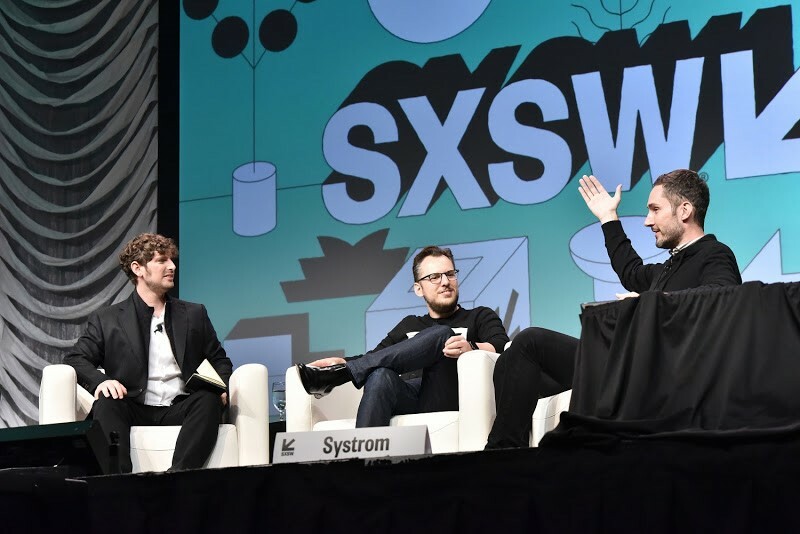 Instagram’s sale to Facebook was a significant notice of the times to come, and the founders of Instagram, Kevin Systrom, and Mike Krieger, formerly worked at Facebook after their company had been obtained, managing Instagram for Facebook, the social media giant. They both left their positions in September which inflated concerns about whether Facebook had created a restrictive environment for them to work in, but they both declared that this was not the problem. According to them, the takeover by Facebook is what allowed Instagram to become as successful and popular as it currently is. They consider breaking up the monopoly as a mistake. What do you think? Do you think they are telling the truth? Comment us below. How to Download/Delete Everything Instagram Knows About you? Instagram keeps a copy of everything you have ever shared on the platform. It’s easy to download a copy of that information, so we’re going to show you how. There are two main reasons you might want to do this: first, it’s worth viewing what sort of private data is stored on Instagram’s servers. Next, it’s useful if you want to take all of your data and move to another platform. Everything I have searched on Instagram. Every post I have ever liked. Direct messages I have sent to people. Every video I have ever posted. Every picture I’ve ever posted. Every story I have ever shared. The Instagram archive doesn’t hold any information about ads you’ve viewed or associated with, or what sorts of ad niche it think you might be interested in. Instagram must have this information somewhere, but it’s not included in this file. How to download your data on Instagram? 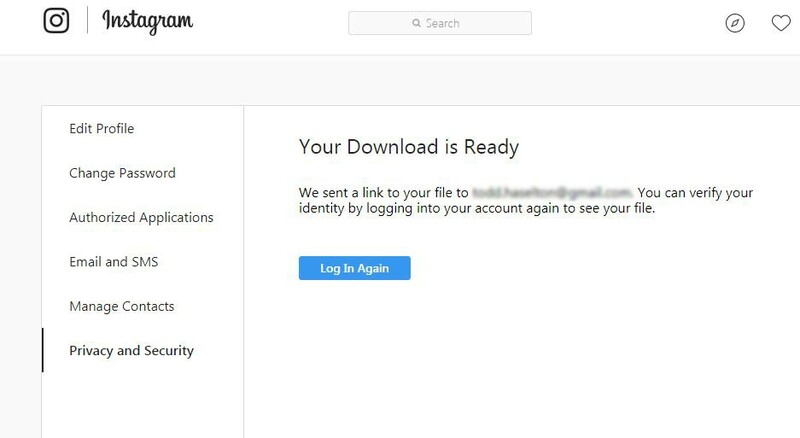 enter your email to receive the download link and verify the request by entering your Instagram password. While Instagram states it can take up to 48 hours, I received my download link in less than thirty minutes. The information comes through as a zip file with pictures, stories, and videos folders. other information like messages, profile, searches, and settings are saved in text format that you can initiate with notepad on a PC. 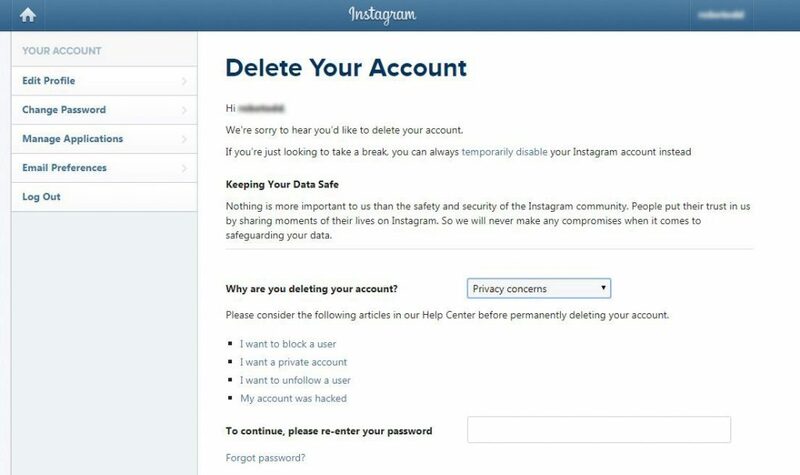 How to delete your data on Instagram? If you don’t require Instagram to have this information, you can remove it all by deleting your entire account permanently. If you don’t want to do that, you can try temporarily disabling your account. Select a reason for why you need to delete your information. That’s it. Now you’ve discovered how to download a copy of all of your Instagram data and, if you need, how to delete it. 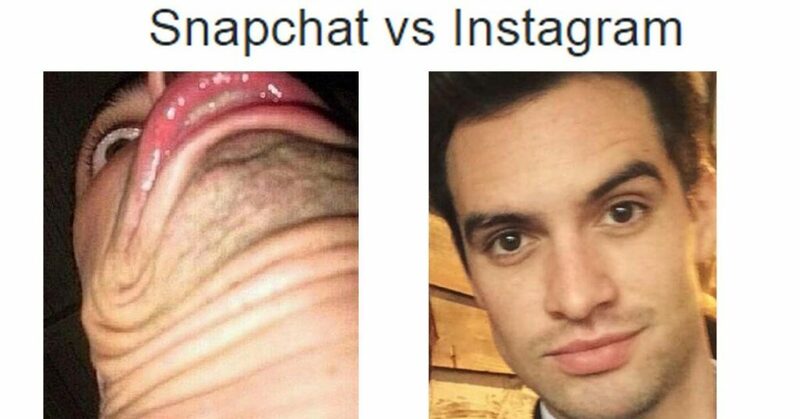 Snapchat VS Instagram: Which One Is Better for you? 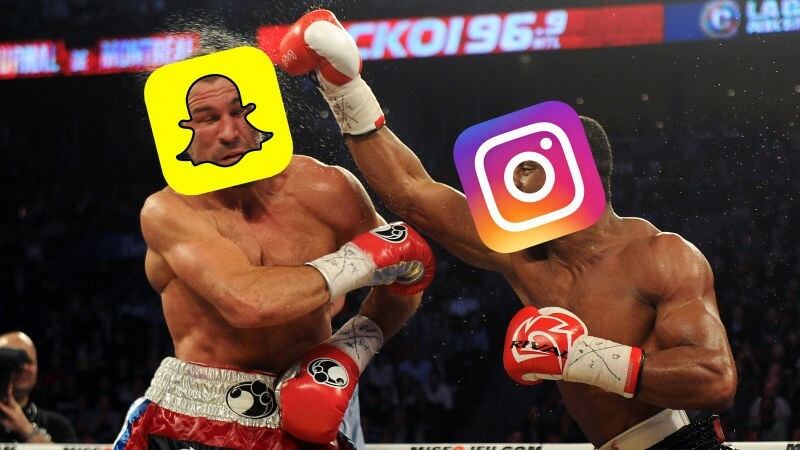 It’s Snapchat vs. Instagram; it’s the clash of the Titans! In one side you have Instagram, the heavyweight platform, weighing in with over 1 billion daily active users and a great marketing stance! On the other hand, the failure contender: Snapchat with a reported 250 million daily users and its own robust set of features and sales strategies! Each is competing for victory, or at least the chance to be the go-to platform for your marketing plan. At first sight, these champions may look like they contribute a lot of the same features — walking around in their gold lame and purple nylon, scoffing at the crowds and riling the masses! Seriously, though somewhat different in their strategy, each platform is competing to be the go-to platform for all of your video- and photo-sharing marketing works. To the social media marketer, the expanding similarities between the two can make it hard to decide which is worth the effort. So we’ll stop with the madness and help you decide which one works better? We’ve compared the features that the two platforms share and come up with a final champion! At first sight, the Stories feature is just much more comfortable to access within the app as it is the first thing you notice at the top left of the screen as you launch the app. You can’t help but make the feature your starting point within Instagram, abandoning your instinct to jump impetuous into the scroll. 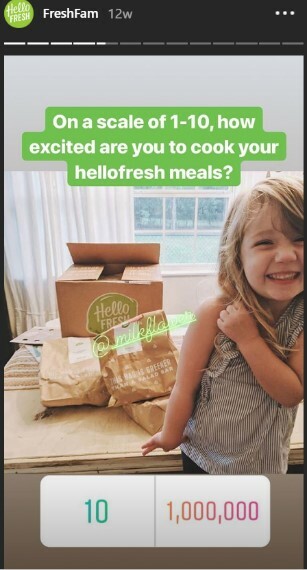 In addition to that apparent advantage, Instagram Stories have plenty of stickers, filters, polls, location tags, and drawing tools which make it a great interactive experience and let you bring an extra layer of a muchness to every story. Although Stories did Auto-play earlier on the Snapchat app, they have done away with that option for the time being. Having the ability to watch what you desire to watch when you want to watch it and without anyone finding out is an obvious plus. The downside that we found within this platform was the overall accessibility of the Stories feature. You have to practically track them down, with a left swipe to view them. While a swipe is just a swipe, it’s a difference that matters in this field. Winner of this round: Instagram Our vote here ultimately comes down to convenience and ease of use. 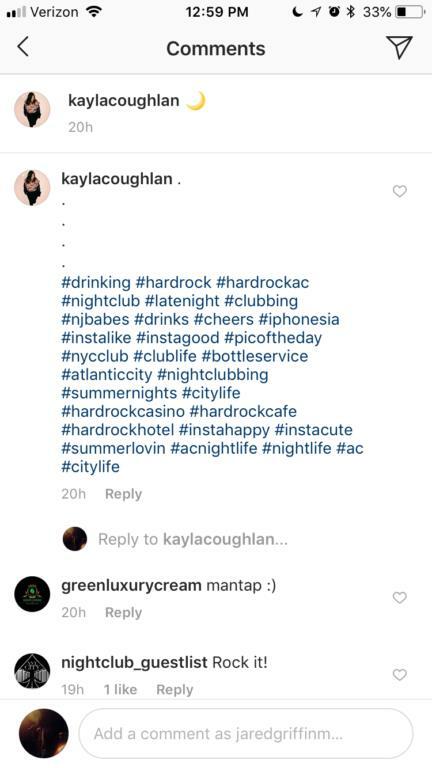 Instagram is about an order. The visual design of Stories at the top and app navigations at the bottom creates an organized and user-friendly interface. Everything has a place and everything in its place kind of situation. After all, Instagram is an aesthetic platform where users manipulate pictures and adjust their placement to showcase their product or service in a compact, yet artistic, fashion. It is a platform where brands and businesses attempt to display the best versions of themselves. When you launch the Snapchat app, you are instantly directed to the camera app, where you are forced to create something right away. This is nice for the creative types who always have something imaginative to post, or radical to rave about. For the rest of us, it’s an unexpected transition that lacks feed for inspiration. Add to that a botched effort at cleaning up their interface through a new overhaul that only worked in making everything more confusing, and an experience that is lacking in both balance and order. 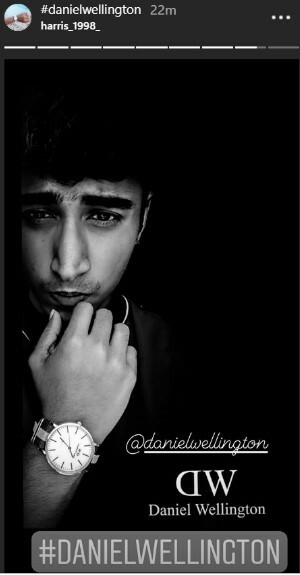 Which is why the Winner of this one is Instagram again. While appearance isn’t everything, it indeed is essential. Instagram does come heaped with features. You can message your best friends privately. You can share not only to your profile, or broadcast across various platforms with ease. Stories can be shared, with all the great filters that make you look cute even on a bad hair day. But these are all merely icing on the cake because it’s the pictures that remain the focus no matter which features you’re applying. Yes, some of these features are obscurely familiar, and maybe swiping all these ideas from Snapchat would look bad to their users had they not developed on them. Speaking of Snapchat, what’s their purpose? Are they a platform for information and news? Are they a private messaging app? A system of advertising your product and services to a broader audience? 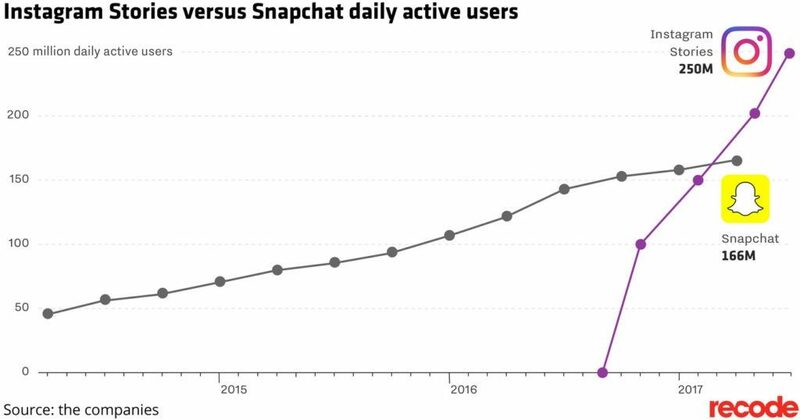 Even Snapchat has had a difficult time identifying its purpose as its original substance as a private messenger app with fading messages. Awkward growing pains in Snapchat is having something of an identity dilemma. Upgrades and extra features seem to be added continuously without much organization or strategy, which makes the disordered and more confusing. It also makes it less likely to be used by new users. You guessed it, Instagram. Sorry, Snapchat … Instagram is the king in this ring. In this article, we’re going to tell you what to do when Instagram has deleted some of your pictures and your account. This can be an incredibly frustrating situation, and it can be difficult to understand what’s going on. There are two conditions you could be in right now. The first one is that perhaps 1, 2 or all of your Instagram posts have gone, and you don’t know where they have gone. This may happen when you deactivate your Instagram account and then reactivated it again, or moments after you’ve posted the picture. The other situation you could be in is that Instagram has removed your account along with your posts for no reason at all. By the end of this article, you would have been able to fix this issue and get your account or pictures back. How to get your Instagram Account and Photos back? The easiest way to get all of your pictures back is to report the issue back to Instagram and tell them that they have made a mistake. 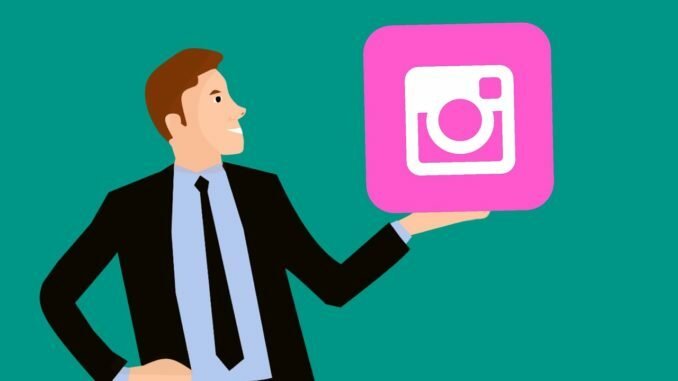 Make sure that you haven‘t done anything to violate Instagram’s terms and conditions so that you have an opportunity to get your pictures and account back. Why Instagram deleted your account or pictures? There are several reasons as to why you’re going to face this problem on Instagram. The first reason why this may happen to you is because of a bug. When there’s a bug in the app, it can cause all kinds of problems. A bug is a crash in the system that causes unexpected results. There could be a problem on their side that’s causing your account to disappear. The first thing you should do when you find out you’ve lost some photos is to wait for them to come back. Since you didn’t do anything wrong to get your pictures deleted, the most natural thing you can do for yourself is to wait for them to come back. If you have violated Instagram’s terms and conditions, you shouldn’t be shocked if those posts were deleted. If there was nothing wrong with the content you uploaded, you must wait for the post to come back. If this has just recently happened, you have to wait for a few days. If this has been gone on for a while, scroll down to report it to Instagram. To check if your pictures have been deleted and this isn’t just a difficulty with the device you’re using, you’ll have to try accessing your account from Instagram.com. From here, you need to click on your account and check if your posts have been deleted. If this is the case, try to contact Instagram. Since the main reason for this issue would be due to a bug, the best thing you can do to would be to update your Instagram. If you take a look at the features of an update, you’ll usually notice the term bug fixes.If Instagram has been receiving many complaints about their pictures and accounts being deleted, this update will fix the bug that’s causing it. If you’re still experiencing problems and none of these solutions helped, comment us below, and we’ll help you further. If there is any business that seems to work like the good old days, it’s the local barbershop. There are nostalgia and culture that goes with barbershops. A kind of male retreat and social scene that made some barbershops a local place to gather. This lent itself remarkably to marketing. Men just knew where to go to get a haircut. 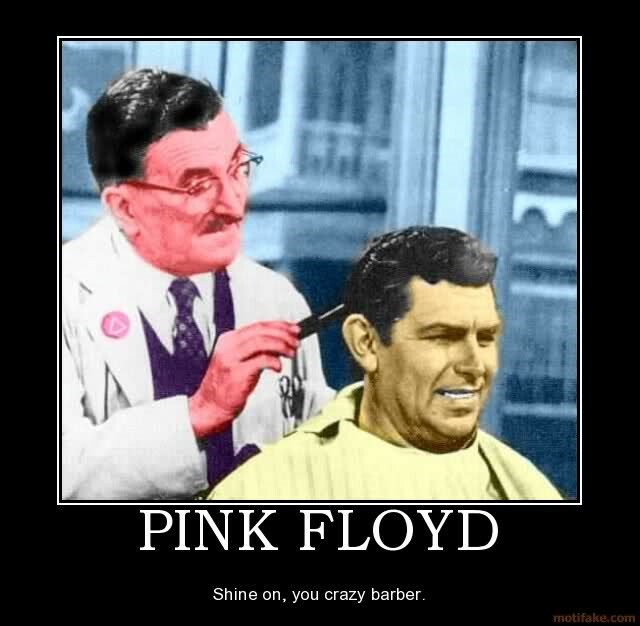 Joe, Tom, or (of course) Floyd were the best – and usually only – barbers in town. Times have changed. Today there is a much broader range of potential customers, many as interested in working with a hairstylist as an old-school barber. To reach more audience and compete against both local and chain salons or barbershops, you need better marketing strategies than just the yellow pages and word of mouth. Here are six ideas to help you market your barbershop in 2019. Follow these tips to fill your chairs with new customers and keep them full with loyal clients. This is where Instagram comes in as one of the most effective and powerful tools to get new customers and engage with the existing ones. Instagram is very important since it’s such a visual medium, adjusting itself perfectly to the craft. Also, Instagram has two times more engagement than any other social media platform which makes it an ideal place to engage with your audience. Instagram allows you to create permanent collections of your Instagram stories that will show on the top of your Instagram feed. Use this feature to organize every aspect of your business like products you use, barbers in your shop, most popular services and running promotions. It is likely that new customers will be comparison shopping. So list your prices, and make sure it’s clear from you feed the level of service you are providing. Haircuts are visual, and your Instagram profile should reflect this. Think of your Instagram as a visual gate to your shop. While designing your Instagram feed, strongly consider what potential customers want to see. Share pictures of recent haircuts, fashionable hairstyles, and your shop. This is where your customers will spend most of their time on, so you need it to be enticing and visually appealing. Create a branded hashtag that represents your barbershop and use it to brand all your posts on Instagram. Some services are better suited to the “selfie” culture of Instagram than styling hair. 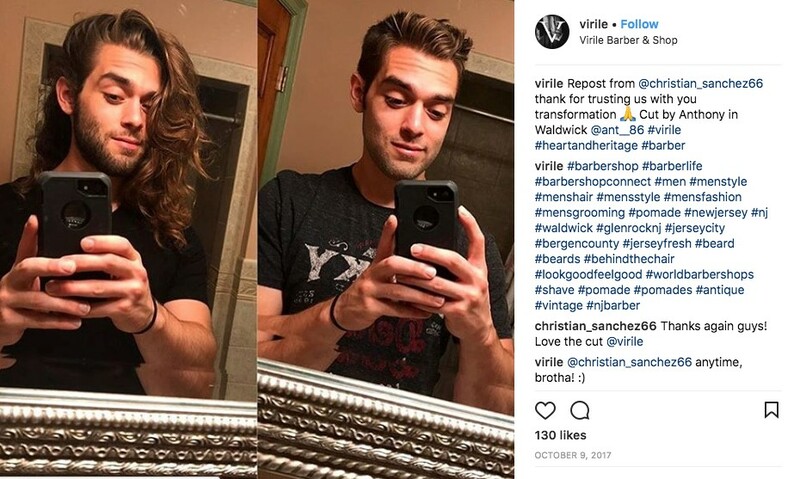 When you have customers proud of their new haircut, ask them to share a selfie on their Instagram profile and mention your barbershop with your unique hashtag as a branding tactic. It’s free, effective marketing that provides social proof and trust for your business. Whether it’s a picture, funny meme, contest, or just an essential update about your working hours or closing times, engage your followers consistently. Create a posting schedule as a piece of your strategy. With the new algorithm now engagement has more influence on what appears on your feed. So, be more engaging, if someone asks a question, make sure to respond quickly, and display the same kind of friendly attitude you would if he were sitting in your chair. 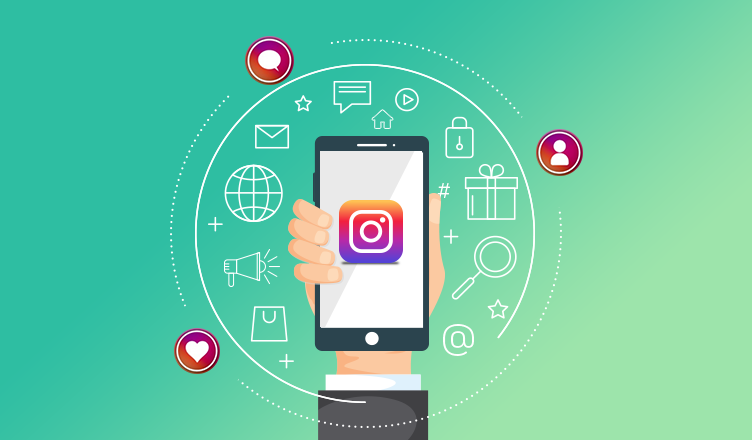 Like many other platforms that offer online advertising, Instagram lets you target your ideal audience with pinpoint precision and charge you only when the person clicks on the ad. In 2018, the average cost per click for Instagram ads was around $0.7 for all age ranges. Instagram offers “store visits” with the intention of turning ad impressions into people that walk into your shop. 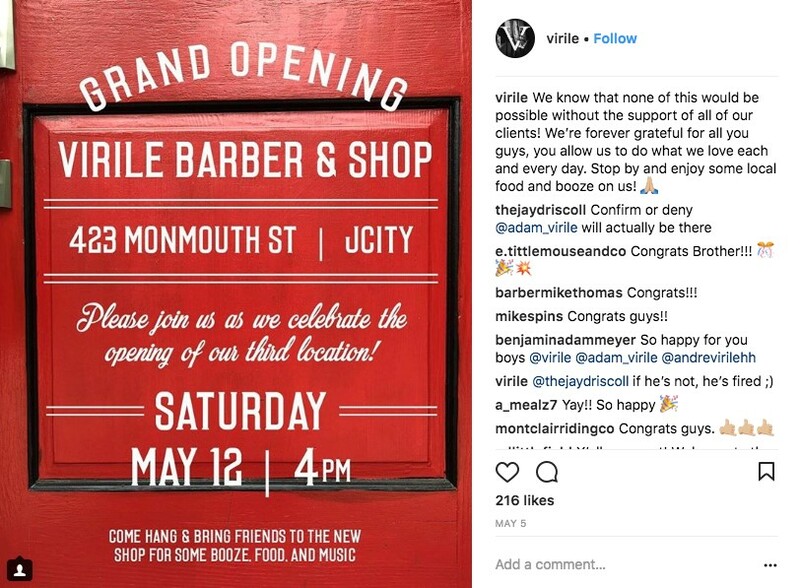 Instagram is particularly suited for brand engagement, and it can be the perfect platform for promoting your barbershop. Instagram provides some critical insights like impression, profile visits and audience demographics to all business accounts. You can use this feature to track which one of your posts get the most engagement and where your followers are coming from. You shouldn’t leave anything to chance. Make sure also to leverage this data and look for guides to understand your audience’s pain points and needs. The ultimate purpose of a barbershop is to develop a constituency of repeat customers, as well as new clients through customer referrals. Because of this, many neighborhood barbershops are a place where people socialize and enjoy each other’s company, which only lets you get more satisfied and loyal customers. In this digital age, social network platforms like Instagram offer a different avenue for barbershops to hang out and engage with their clients. Use Instagram to get found by a new audience, develop a positive reputation, and earn the loyalty of your best customers. When people look forward to coming in for a haircut, you will know you’re doing it right. 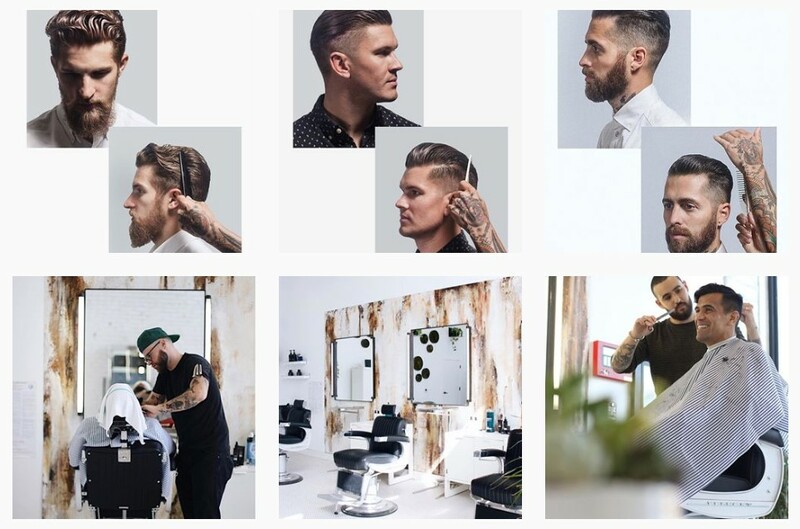 Barbers and stylists, how do you use Instagram for promoting your business? It’s not just the students and teenagers that are Instagram addicted; it’s the teachers too! 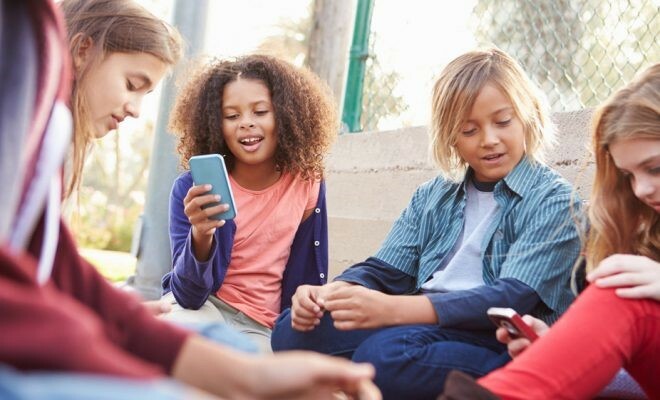 So instead of scrolling through your celebrity crush’s feed, we have gathered around some educational, legitimate ways you can use Instagram in the classroom. Sure, it’s vital to protect students’ privacy, particularly while using a public platform like Instagram. If you’re interested in trying any of these ideas below, we suggest creating a classroom Instagram account that you set to “private” and thoughtfully vetting any potential followers. Finally, make sure to check your school’s tech policies before you begin. Ask a question about the photo and how it relates to what they’re studying; points rewarded for using concepts and key vocabulary discussed. Expose just a piece of a picture like an extreme close-up and ask them to identify what it is and why you chose it. Invite them to take pictures of their favorite books with a brief description of why they love it in the caption. Your followers then can browse the images to get inspired on what to read, and even create your own Hashtag. Tap an “inspiration Fairy” to capture ten photos that could work as a prompt for writing _ a for sale sign, an empty bird’s nest, or a broken doll, for instance. Take pictures of students’ writing at the beginning and the end of the year. Post them on Instagram to show your students their progress and give them an end-of-year gift! Instagram in the classroom pin it! What are your thoughts, teachers? Would you use Instagram in your classroom? How so?